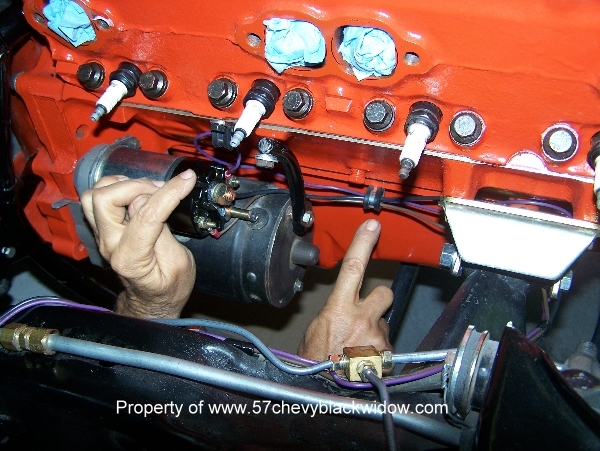 In photos #504 & #505 you see "Old Guy Scott" fastening up the engine and #506 shows the special drive shaft hooked to the 1/2 ton truck rear end. 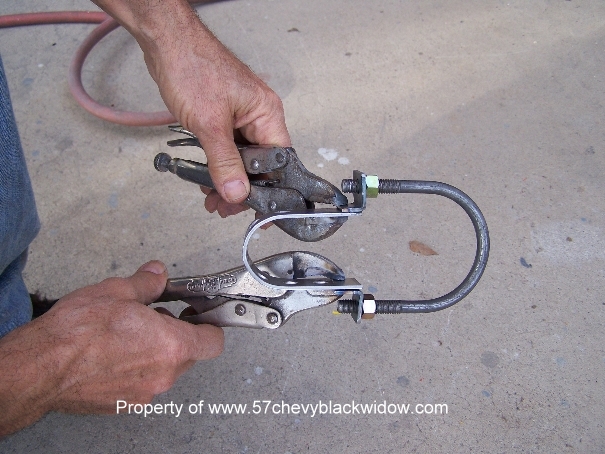 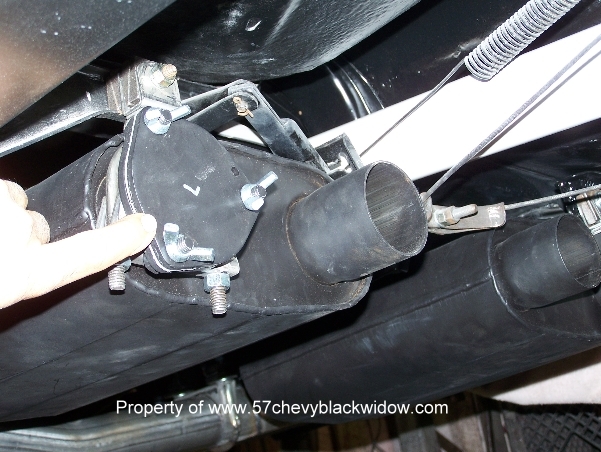 Photos #507 & #508 shows how the wires are kept clear of the hot exhaust system. 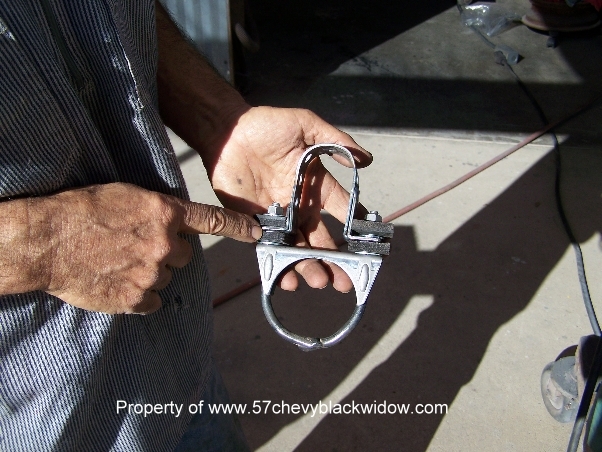 Stock car racing develops much higher heat than a passenger car would, these extra precautions were necessary. 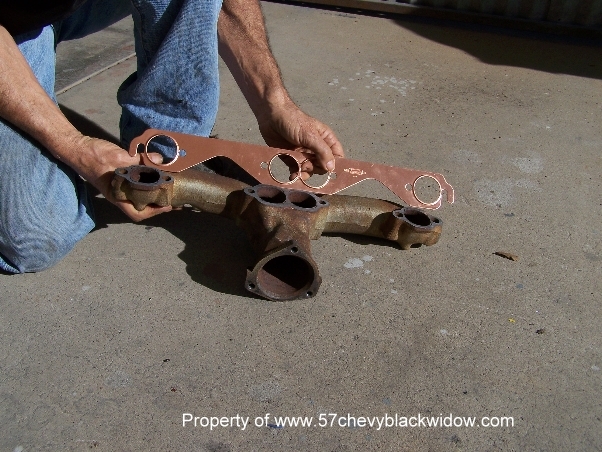 The competition "guide" says not to use gaskets at all, but some used solid copper as in photo #509. 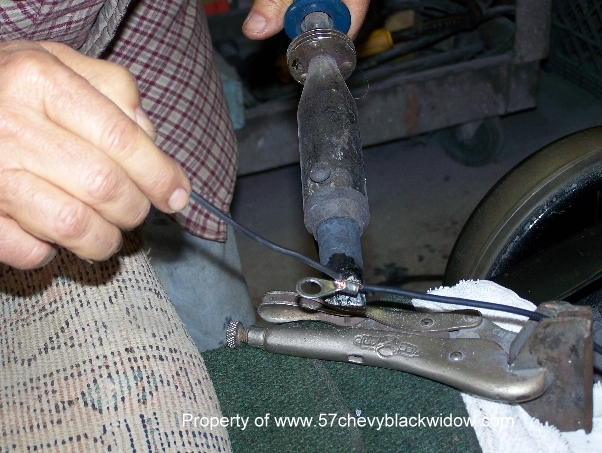 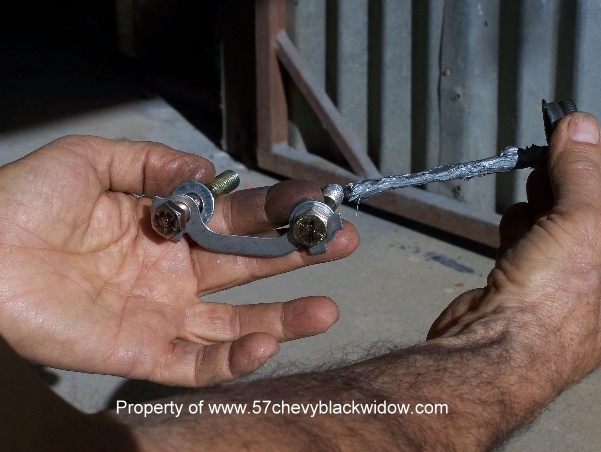 You must safety wire every fastener that may vibrate loose as in photos #510 & #513. 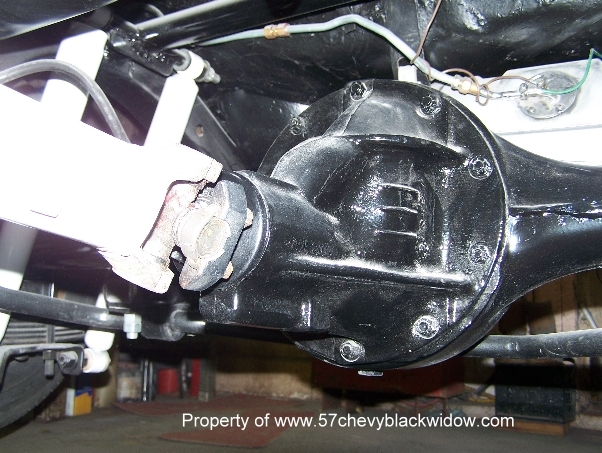 The exhaust system needed special made hangers to hold up under the rigors of racing, photos #511 thru #514. 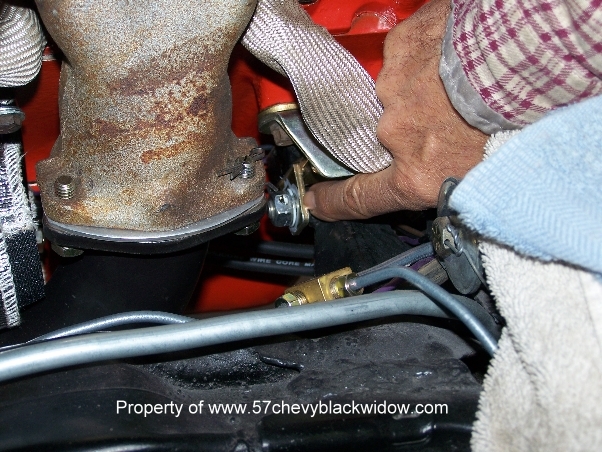 The cap in photo #514 is where "Old Guy Scott" is going to hook up the open exhaust pipes. 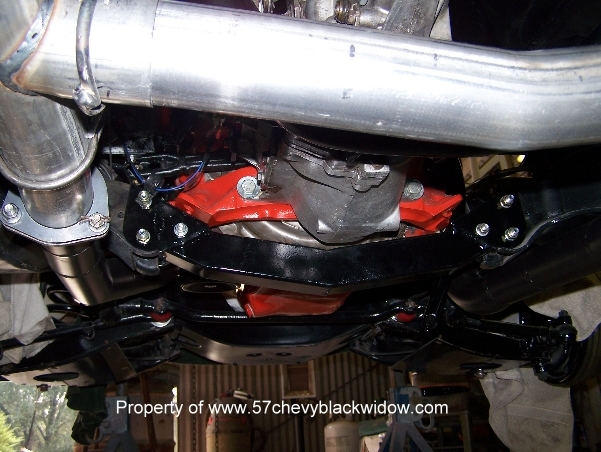 In photo #515 you see everything in place, note the "Black Widow" crossmember and lower A-frame plates. 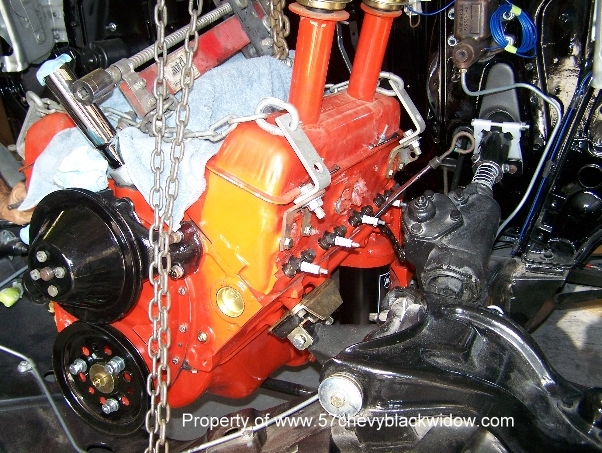 Soon the engine will be ready to start, that will be an exciting day.